Some people have a relentlessly positive outlook on life. For Patrick ‘Kitten’ Braden (Cillian Murphy), the glass is always half full. Even when life deals him a bad hand, even when he’s taking a ferocious beating, he never loses his belief in the innate goodness of people. As the naïve young transvestite at the centre of Neil Jordan’s Breakfast on Pluto, Patrick glides through war-torn Ireland and the sleazy backstreets of London with the conviction of a man who believes that happiness and true love are always just around the corner. 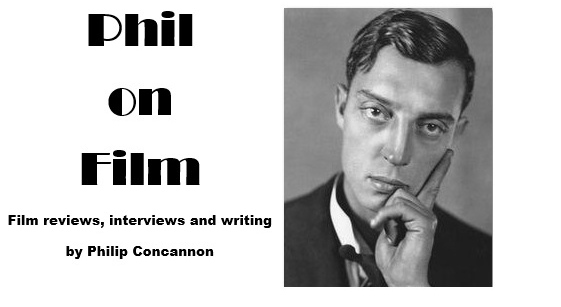 The problem with making a film about a such a whimsical character who refuses to engage with the harsh realities of life is that you run the risk of your film becoming carefree and inconsequential in itself; and that’s a trap which Jordan’s adaptation of Pat McCabe’s novel unfortunately falls into. 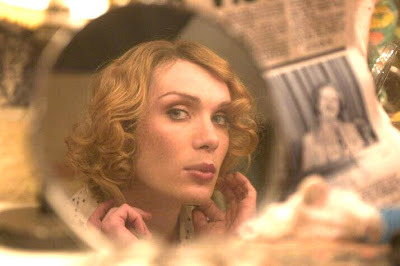 With the Irish troubles providing the backdrop to an examination of sexual identity, Breakfast on Pluto has echoes of Jordan’s earlier The Crying Game - but this overlong and confused disappointment is unlikely to achieve anything like the same acclaim. Patrick’s story begins when his mother dumps him as a newborn on the doorstep of parish priest Father Bernard (Liam Neeson), whom it is clear is more than just his spiritual father. As Patrick grows up he begins to show a fondness for women’s clothing and makeup, much to the horror of his stern foster mother Ma Braden (Ruth McCabe) who attempts to provoke Patrick’s interest in more traditional pursuits such as football (prompting a fantasy sequence in where Patrick plays a match in a shimmering evening gown). This isn’t just a phase for Patrick though, and his cross-dressing antics as a teenager make him an outcast in the town and infuriate his teachers. Patrick forms a close bond with three other outsiders; Charlie (Ruth Negga), Irwin (Laurence Kinlan) and Laurence (Seamus Reilly) but he soon spots a chance to leave town by hooking up with a travelling band called Billy Hatchet and the Mohawks, with whom he performs. He also develops a romance with Billy (Gavin Friday) himself, much to the rest of the band’s dismay, but when Billy’s IRA loyalties begin to intrude on this relationship Patrick decides to try and track down his mother in London. This is a film full of highs and lows and the screenplay, by Jordan and McCabe, struggles to bring the disparate elements together. Jordan’s decision to structure the film in 36 chapters only serves to highlight the jumpy and disjointed nature of the narrative as Patrick stumbles from one bizarre and dangerous situation to another. There are also some very problematic shifts in tone as the film jumps between Patrick’s comical adventures in London and IRA murders back home to jarring effect. “I wish everyone should stop being so serious” Patrick says whenever a hint of reality breaks into his fantasy world; but when he refuses to take anything seriously it’s hard for the audience to do so and Jordan clearly has difficulty striking a healthy balance between these contrasting aspects of his film. Having said that, Breakfast on Pluto does contain buckets of imagination and is often very engaging. Chief among its treasures is rising star Cillian Murphy whose performance here is a tour de force. With his dazzling blue eyes and prominent cheekbones, the lithe and slender Murphy makes a convincing woman and as the film progresses he develops the winsome Patrick into a sympathetic and intriguing character. Murphy injects just the right note of sincerity and pain into his high-pitched voice and his appealing performance drags the audience into the story for a while. This being a Neil Jordan film the cast is full of the best Irish talent. Liam Neeson is reliably strong as Father Bernard but the best supporting roles come from Brendan Gleeson and Jordan regular Stephen Rea as two of the odd characters Patrick meets on his odyssey. Gleeson plays a volatile children’s entertainer who can’t control his temper or foul language even when dressed as a womble, and he’s at the centre of the film’s funniest sequence. Rea is more subdued but no less effective as a downbeat magician who hires Patrick as his glamorous assistant and exploits his innocent nature. Unfortunately none of these adventures really take us anywhere. Patrick’s refusal to acknowledge the reality of the world he lives in stunts the film’s emotional growth and leaves us with a series of vignettes which often feel insubstantial and meaningless no matter how amusing they may be. This lack of narrative drive begins to become a major problem the longer the film progresses, and at 135 minutes its increasingly repetitive nature becomes wearing. The consistently jaunty and upbeat tone would have fitted the film far more easily if Jordan had been a little more disciplined with the editing. There are numerous terrific moments in Breakfast on Pluto - with Patrick’s rendition of his own conception and a fantasy sequence in which he appears as a perfume-wielding supervixen being highlights - but they never look likely to come together into a satisfying whole. Jordan never seems to get a steady hand on the blend of fantasy and reality his film presents and by the time he attempts to deliver an emotional climax the film had lost my interest. Breakfast on Pluto is generally watchable thanks to the sharp cinematography and fantastically eclectic soundtrack; but everything feels like it would blow away in the slightest breeze. Murphy’s wonderful turn fights valiantly to give some genuine heart to the picture, but on far too many occasions in Breakfast on Pluto he’s all dressed up with nowhere to go.